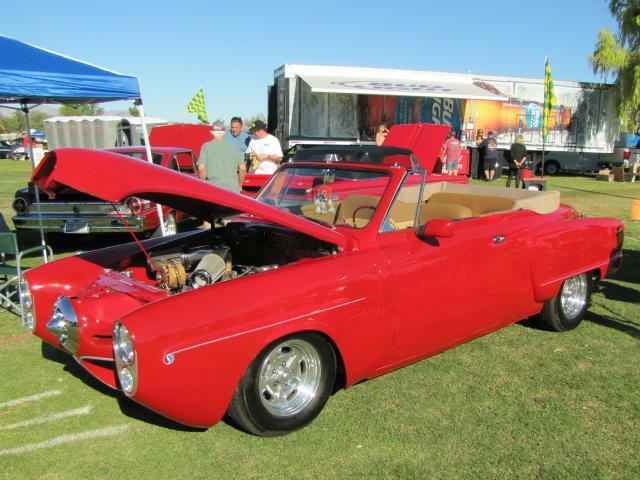 This sharp Custom 1950 Studebaker Convertible is owned by Paul and Becky Stevenson of Nipomo, California. 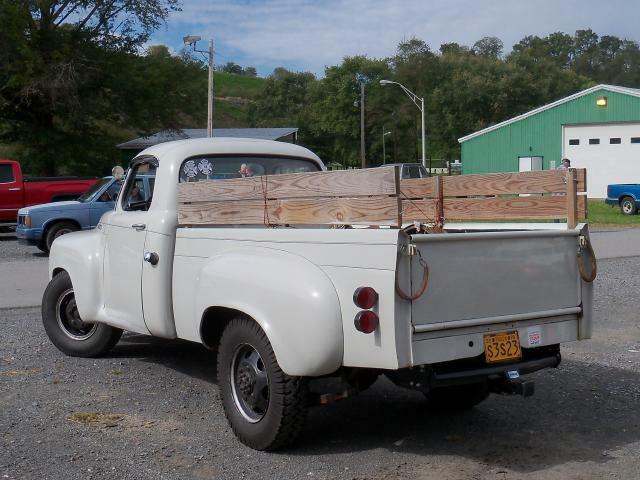 Paul started this project with a pallet of 1950 convertible parts pulled out of a creek. A friend donated a 1948 Studebaker 2-door sedan that was headed to the crusher. Another friend sold Paul a front clip from a 1950 Commander and the rear fenders came from Turner's Auto Wrecking in Fresno, California. The car sits on a Chevy S10 frame and is powered by a 305 cubic inch Chevrolet V8 with a rebuilt GM Turbo Hydramatic 700R4 automatic transmission and dual exhausts. Modern touches include a 12 volt electrical system with alternator and electric windshield wipers, and power brakes with a dual master cylinder, radial tires and alloy wheels. The front bumper and the fresh air doors in the front fenders have been eliminated and the front and rear fenders are welded to the body to give the car a smooth look. The frenched headlights have Mercury rims with custom made inserts and the tail lights use 1958 Chevrolet bezels mounted vertically with 1956 Chevrolet lenses. The exterior door handles came from a Mazda Miata. 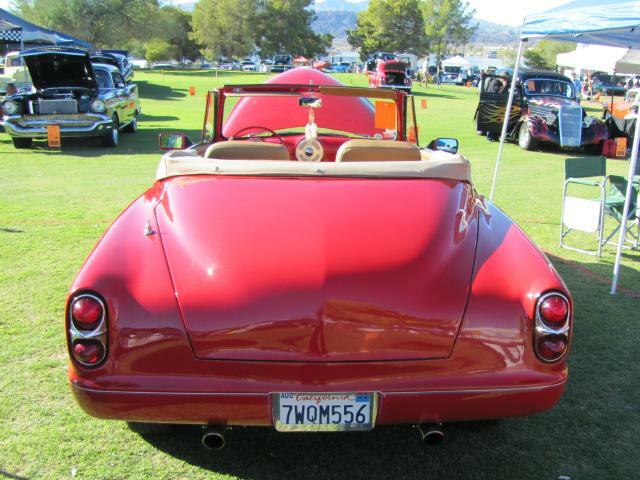 The trunk lid was shortened and a rolled rear pan was molded to the body in place of a rear bumper. All of the stock exterior trim and the truck handle has been removed with the exception of the chrome bullet up front. Light pinstriping highlights elements of the fire engine red exterior and a red, white and blue Studebaker logo is painted on the front fenders. 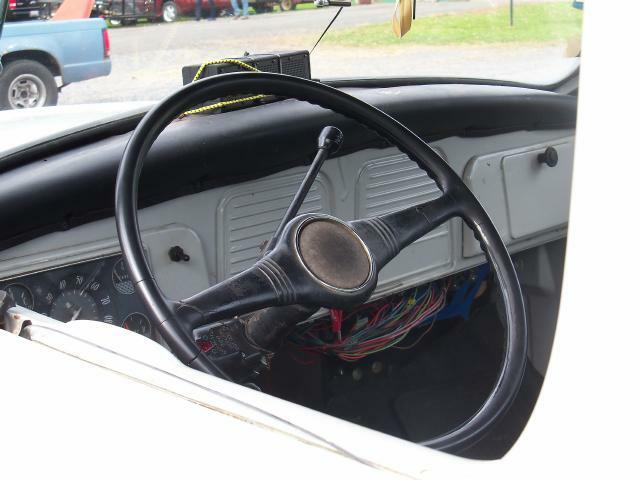 The interior features a nicely integrated 1950 Pontiac dashboard with a full set of white face analog gauges and a custom made center console complete with a modern radio unit and a cup holder. The bucket seats came from the wrecked Chevy S-10 pickup that provided the frame. 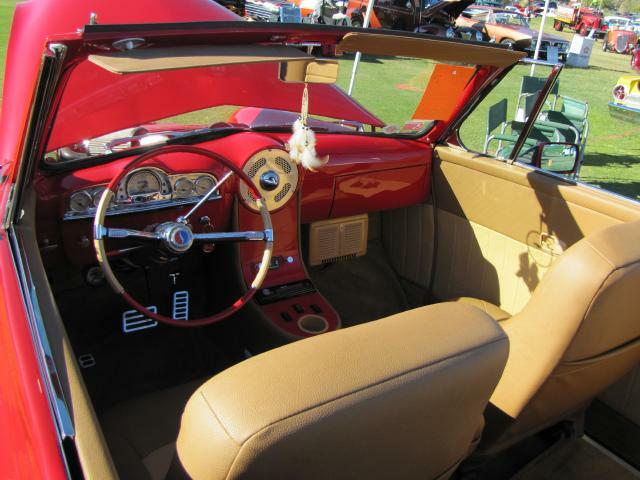 The seats and interior are done in a very attractive two-tone wheat color with matching carpeting. The original top bows were broken and required repair. The car now has a fully functional electric top that matches the color of the interior. 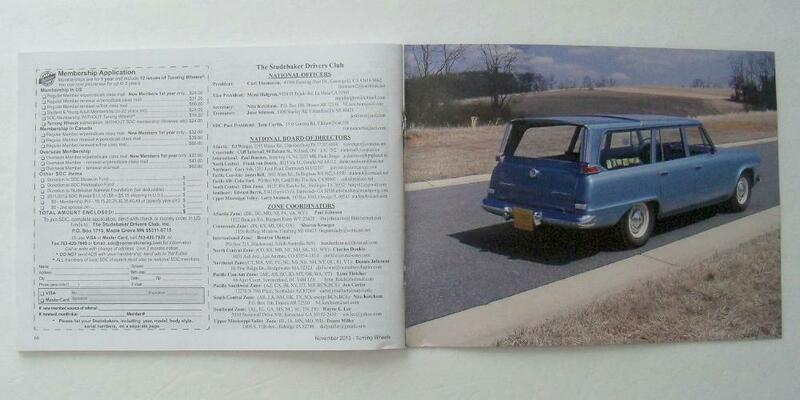 Under the hood is scripted "Studebaker - Different by Design - Ahead of its Time." Becky Stevenson's Custom 1954 Champion Conestoga Station Wagon was stude of the Month on this page in February 2013. Thanks to Bill Junge for sending the pictures and information regarding the Stevenson's sharp 1950 Studebaker Convertible. If you own or once owned a Studebaker or related vehicle and would like to see your car as "Stude of the Month" or in the "Cool Studes" section, or if you have other pictures or material that you would like to contribute to this page, please e-mail me here at wj2d44@gmail.com. I can accept either electronic or hard copy images. The Main Page is issued every other month so the next edition will be April 2019. 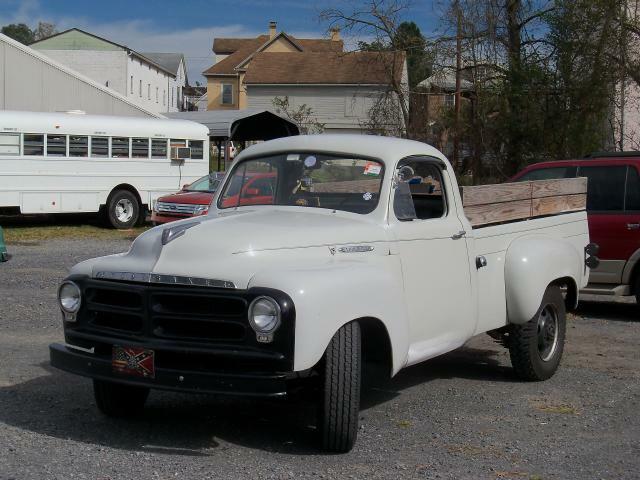 This 1955 Studebaker E12 3/4 Ton Pickup is owned by Michael Kaywork of Harrisburg, Pennsylvania. The truck has heavy duty six lug wheels and an overdrive transmission. 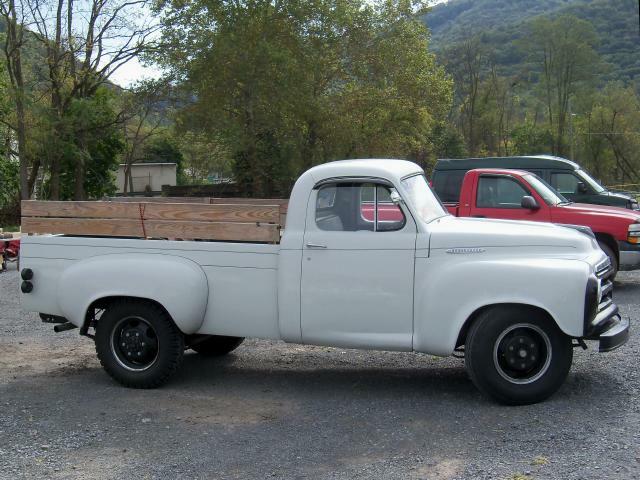 The standard engine in the 1955 E12 was a short stroke 224 cubic inch V8 rated at 140 horsepower. 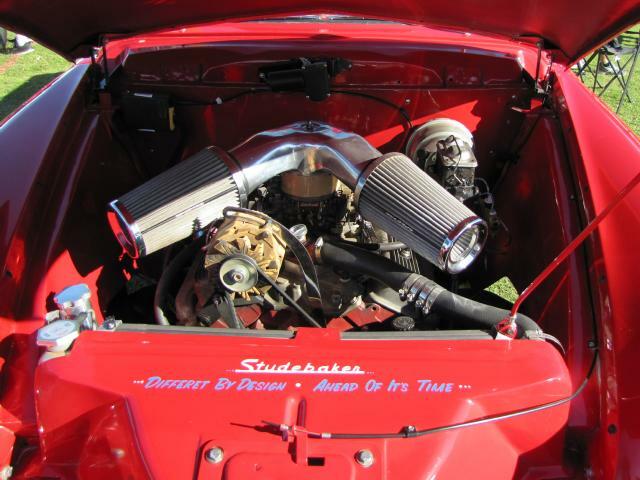 The engine in Michael's truck has been replaced with a Studebaker 259 cubic inch V8. 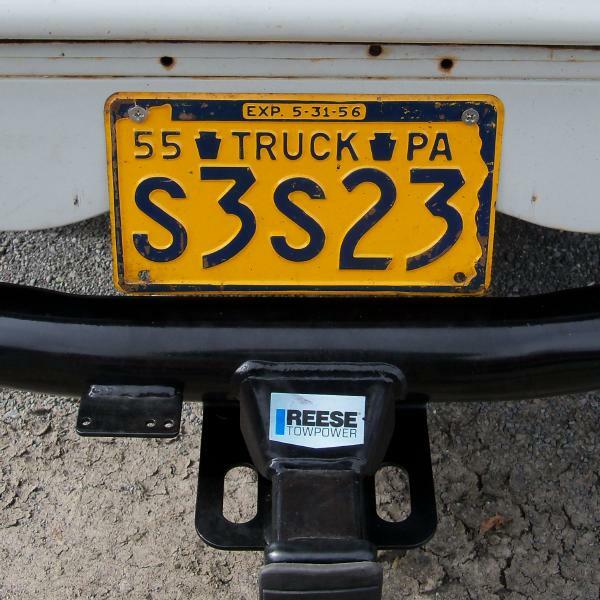 It also has a correct 1955 Pennsylvania license plate and a trailer hitch. 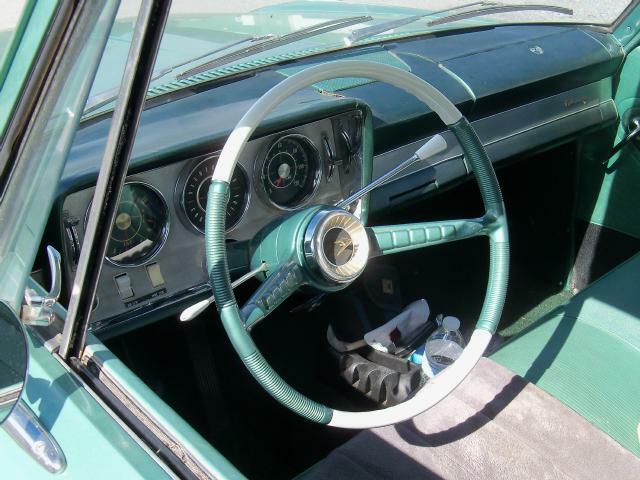 The one piece windshield was introduced in 1954 as was the revised front grille with four horizontal openings and intergrated headlights and the larger rear window appeared in 1955. Otherwise, the cab is essentially the same as introduced on the 2R Series in 1948 as a 1949 model. The side window vent shades on this truck were an optional item. 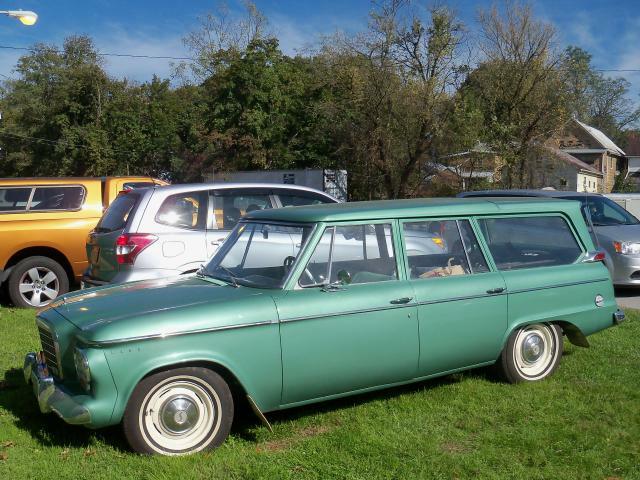 The pristine 1963 Lark Regal Wagonaire with Maryland license plates is a sliding roof wagon with a manual transmission. It has optional front bumper guards but lacks a factory radio which is not uncommon. Studebaker dealers often ordered cars without a radio and would install before delivery one if a buyer so desired. It has the "ladies beauty vanity" complete with mirror and makeup tray that was fitted in the glove box compartment on most 1963 Lark models. Such was marketing back in 1963. 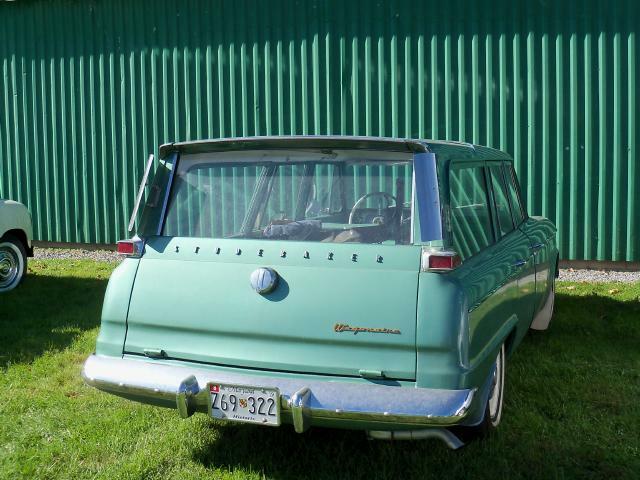 The aftermarket stainless steel rear wind deflectors were popular on station wagons in the 1960's. I have the same type deflectors on my 1964 Challenger Wagonaire. If someone can identify the owner of this Wagonaire I will update the page to reflect that information. The 2018 Mifflin County Studebaker Swap Meet, formerly the Reedsville Studebaker Swap Meet, was held on Friday, October 19 and Saturday, October 20 at the Mifflin County Youth Park. The name change results from the fact that the event is no longer sponsored by the Manhattan Chapter of SDC. Thankfully the good folks at Corkins Auto Repair were able to keep the event going. I drove up on Friday and was pleased to see that there were quite a few Studebakers of various types parked on the grounds. The weather was not a problem with mostly sunny skies and mild temperatures. Additional pictures of interesting Studebakers at the event will appear in the next issue of this page. This year's event will be held on October 25 and 26, 2019. Now that the Studebaker York Swap meet is no more, the event at Reedsville is my best chance to find parts without making an overnight trip. 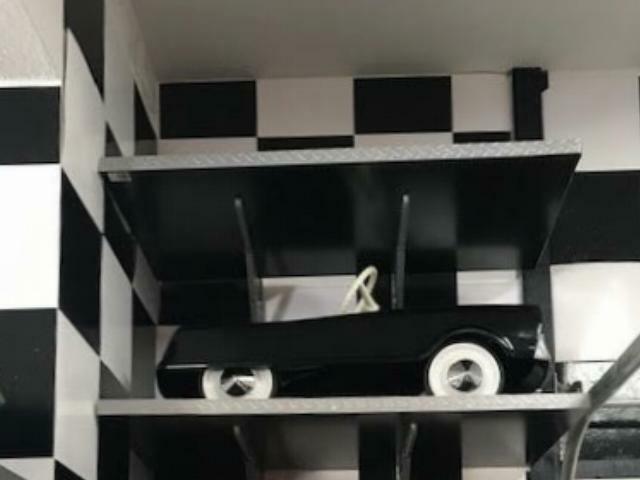 Brent Ritenour of Fort Wayne, Indiana sent some pictures of his Pedal Car collection. 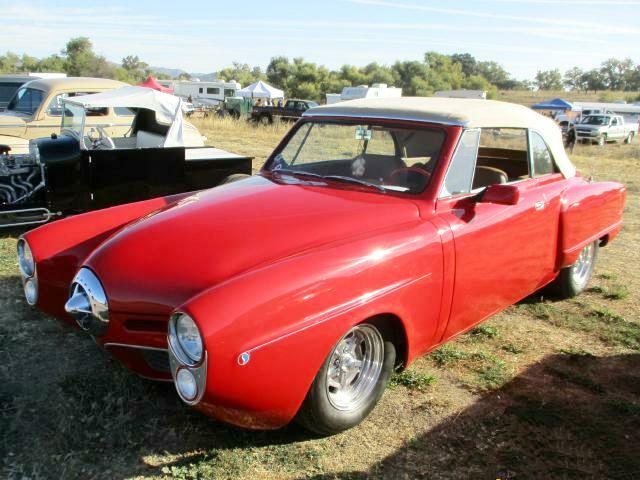 Brent says that he has a love for all things Studebaker. His grandfather worked at the South Bend plant for 25 years right up until the closing. 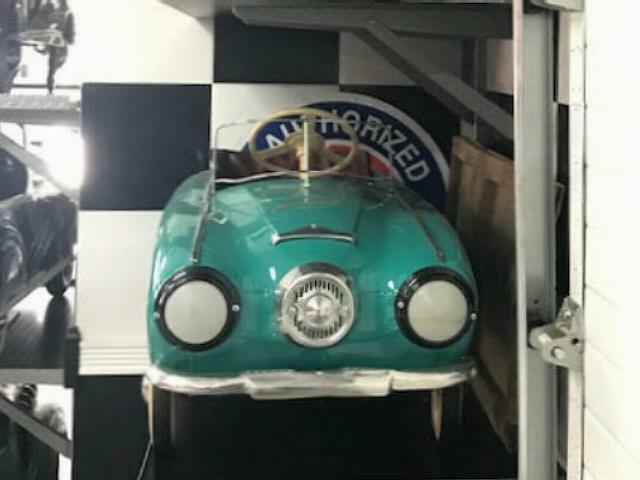 Brent provided the following information regarding the five Studebaker related pedal cars in his collection. 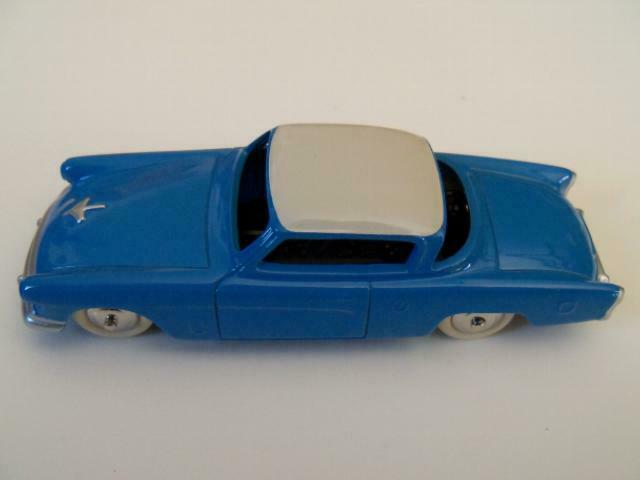 The medium blue Midwest Industries Jet Hawk was based on the 1956 Studebaker Hawk series. Some versions of the Jet Hawk have fins and some do not. The Jet Hawk in Brent's collection is a nicely done restored example. 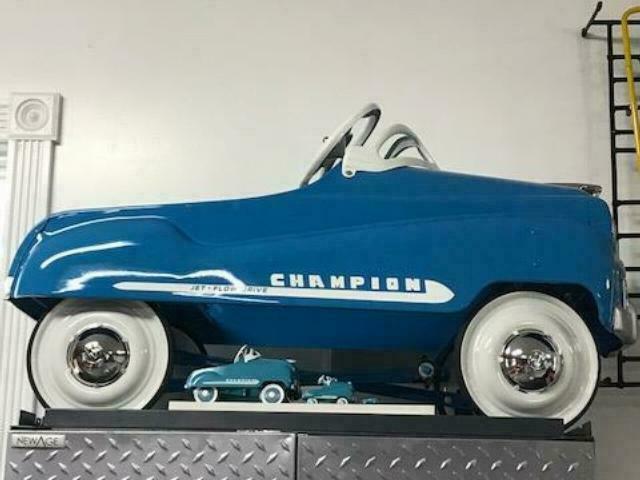 The blue Murray Ohio Manufacturing Company Champion Dip Side was inspired by the Studebaker Champion. It was a very popular pedal car in the 1950's. Large numbers of Murray Champions were produced in several versions. The example in Brent's collection is a high quality restoration. 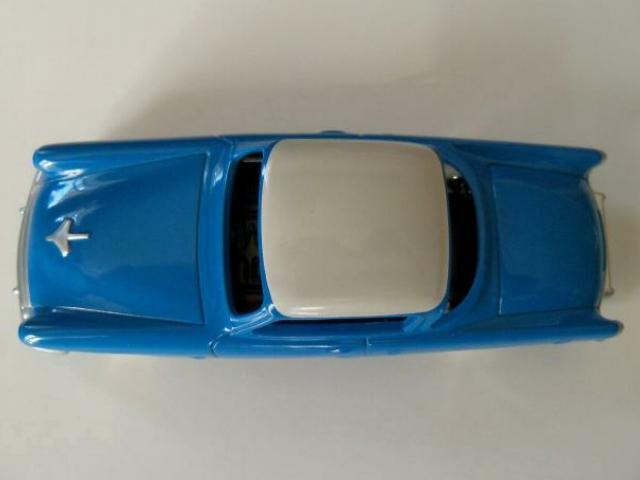 The light red bullet nose pedal car was made by in Italy by Giordani Bologna. 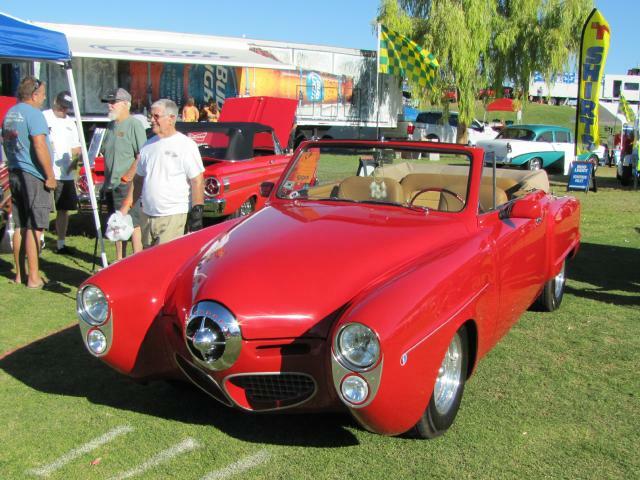 It was based on the 1950 and 1951 Studebaker. These are relatively rare to find and original parts are hard to come by. This unrestored original example was purchased from a collector in Italy. 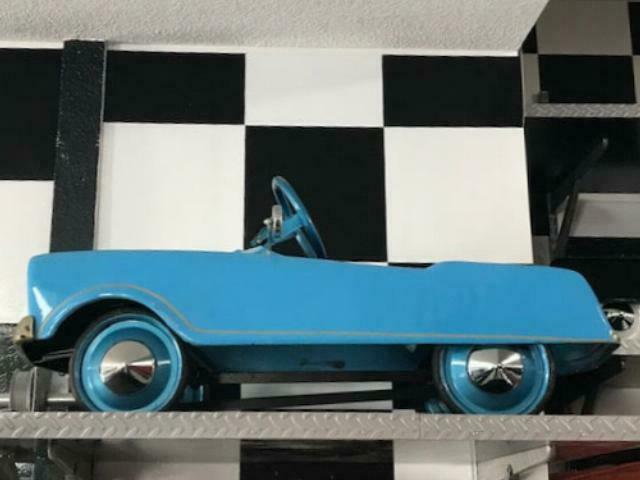 The turquoise bullet nose pedal car was made in Russia by Moskvich. After Giordani stopped producing its bullet nose, Moskvitch started making a similiar but not identical pedal car. This example was restored in Russia and purchased from a collector in England. The black Midwest Industries Strato-Jet is a variation of the Jet Hawk. It used the same basic body with modifications to the paint and graphics. Produced in relatively small numbers, it is not an easy mdel to find regardless of condition. 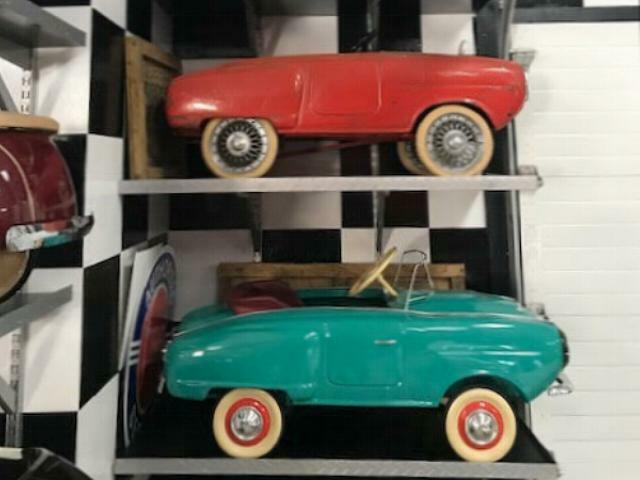 Thanks to Brent for sending the pictures and information regarding his great pedal car collection. 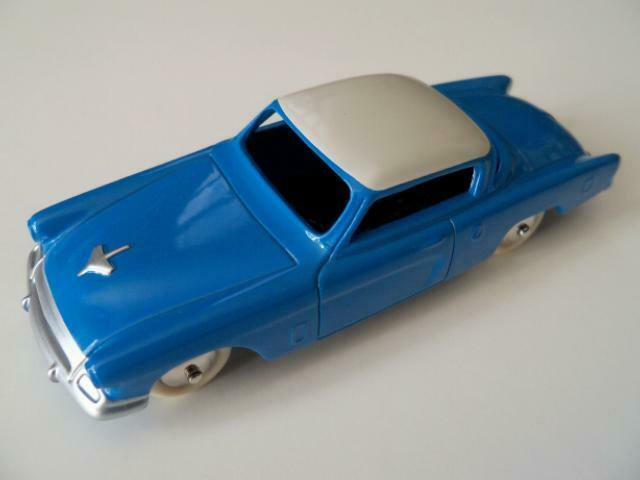 This 1:43 scale DeAgostini Norev reproduction French Dinky Toys 1955 Studebaker Commander Hardtop is a recent addition to my personal collection. 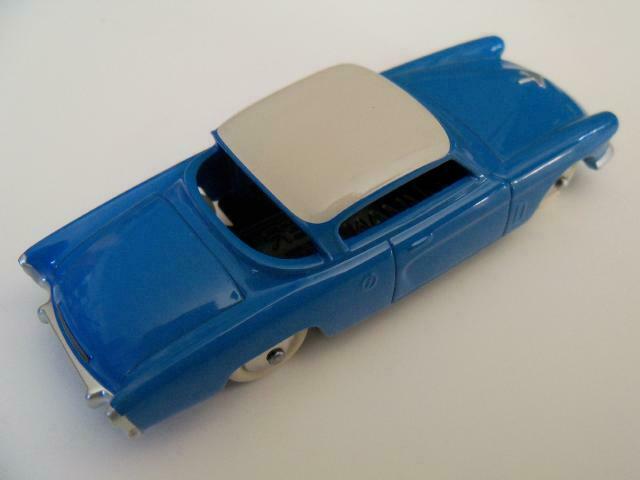 It is quite attractive in blue with a white roof but the original Dinky Toys 1955 Commander was not issued in this color scheme. DeAgostini Norev has also issued this model in red with a tan roof which is correct to the original Dinky. This picture shows both versions of the DeAgostini Norev 1955 Commander. This casting has also been used by Atlas Editions as featured on this page in April 2015. The model comes packed in a very nice reproduction yellow Dinky Toys box. 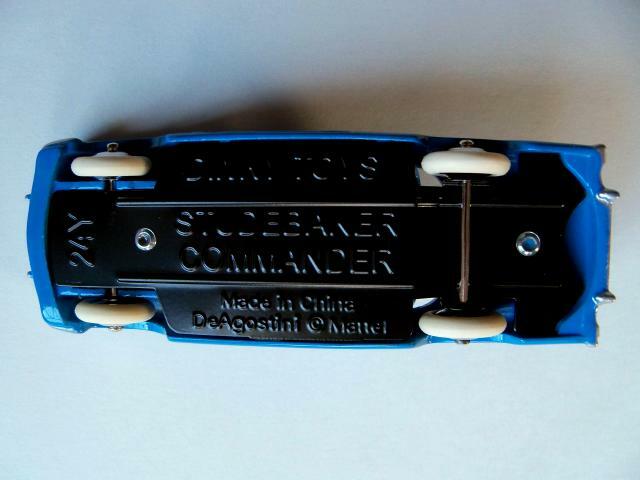 The base indicates that the model is made in China and is stamped both DeAgostini and Mattel, the latter holding the rights to Dinky Toys. 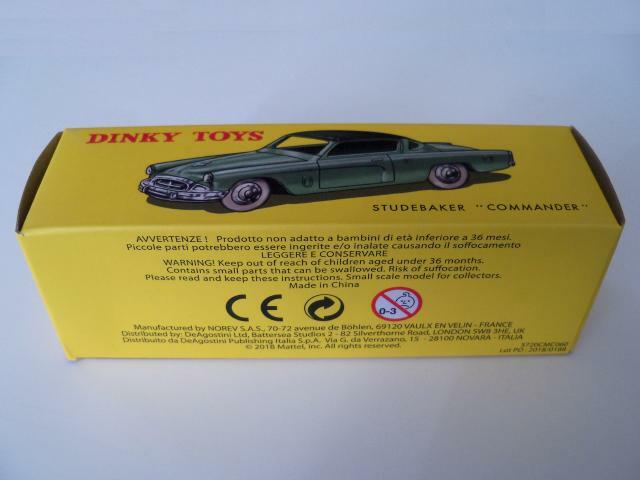 The original Dinky Commander came with white rubber tires as on this reproduction. I purchased this example on eBay from a vendor in Hong Kong for under $20. 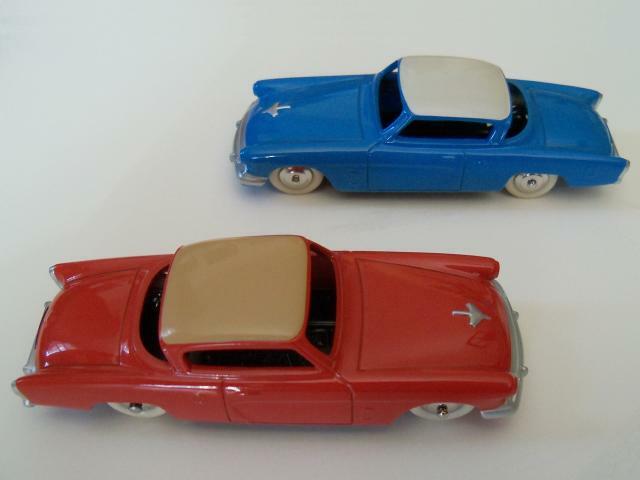 DeAgostini Norev has also issued a reproduction Dinky Toys 1939 Studebaker Coupe. 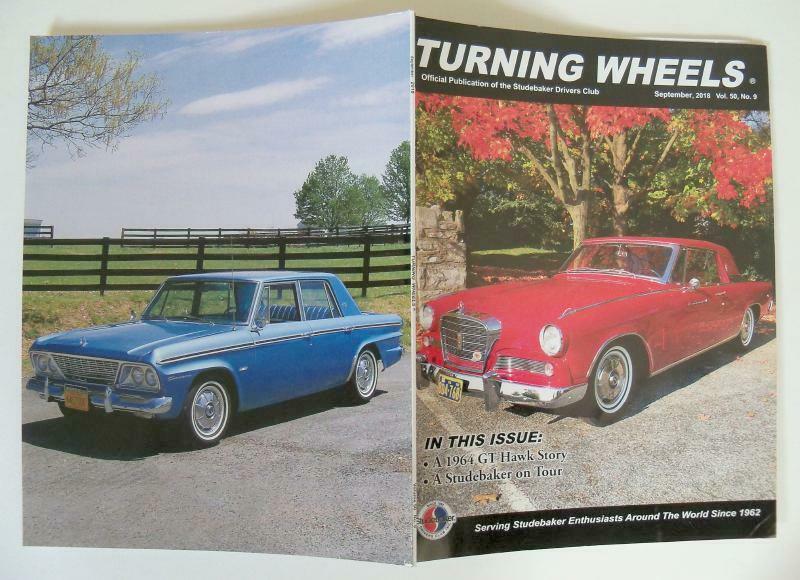 September 2018 Turning Wheels Back Cover.